Earning initial fame as the voice of Leonardo in the movie revival of the franchise Teenage Mutant Ninja Turtles, he would later join the MTV series Teen Wolff in the show's sixth season. He earned his Masters of Fine Arts in Acting from the University of Southern California School of Dramatic Arts in 2012 after previously attending Princeton University where he played football. He was a guest star on notable TV series such as Parks and Recreation, Shameless and Workaholics. He married Daniela Kende in September of 2012. He grew up in New Jersey, Maine and Ohio before returning to his home state of Illinois. 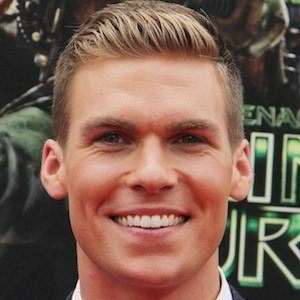 He was cast to star alongside Allison Paige in the 2016 film The Wedding Party.